Maverick director SS Rajamouli never shies away from appreciating a good film. Nandamuri Balakrishna’s 100th movie, Gautamiputra Satakarni, has impressed Jakkanna so much that he first tweeted, then did a video interview with Krish and now, penned an open letter appreciating Krish’s brilliance. In a letter titled Vijayam Neede Mithrama, Rajamouli addressed Krish with his screen name for GPSK, Anjaniputra Krish, and went on to hail the passionate filmmaker for a memorable film. Rajamouli confessed that he initially felt that the Krish-Balakrishna combo for the landmark 100th film will be an utter flop, but was only happy to be proved wrong. The Baahubali director further expressed his amazement on Krish’s feat of wrapping up such a mammoth project in just 79 days and releasing the movie within 7 months of its announcement. Rajamouli concluded the letter, saying, “Saaho Satakarni” and went on to address himself as “Rajanandini Putra Rajamouli”. 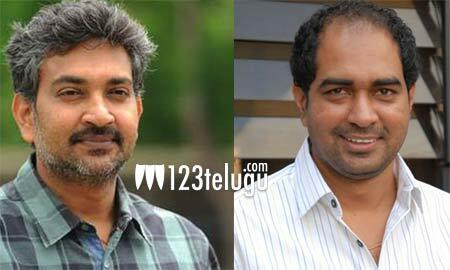 Needless to say that Rajamouli’s admirable gesture is winning him a huge appreciation. Directors of Mahesh’s 25 movies to grace Maharshi’s pre-release event?